St Cross College jointly with the Faculty of History offers the following scholarship for students who will be studying for a MSc or MPhil in Economic and Social History at the University of Oxford in the academic year 2012-2013. The funding for this award has been made available by the Winton Institute for Monetary History in the Ashmolean Museum, Oxford. The Scholarship is open to all students taking the Master’s degree in Economic and Social History (beginning in Michaelmas 2012) at St Cross, who intend to conduct a dissertation on a topic closely related to monetary and/or financial history. The Scholarship will cover the cost of the College fee (currently £2,426 per annum) – it is awarded purely on the basis of academic merit and is tenable at St Cross College only. Applicants applying for the Master’s degree in Economic and Social History in 2012-2013 should apply for a place in the Faculty of History using the University’s standard application form and must list St Cross College as their first choice. The application deadline is 20th January 2012. Everyone who applies for the Master’s degree in Economic and Social History and lists St Cross as their first choice of college and who applies at any time before the scholarship deadline will be considered automatically. 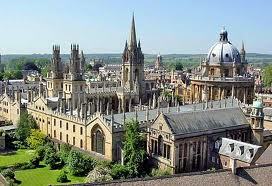 Demikianlah informasi Graduate Scholarships in Economic History, St Cross College, University of Oxford, UK kami sampaikan, semoga bermanfaat.